Remember : you can click on a picture to see a bigger version. The colorful façades of one of the several 'places' of Bruges. 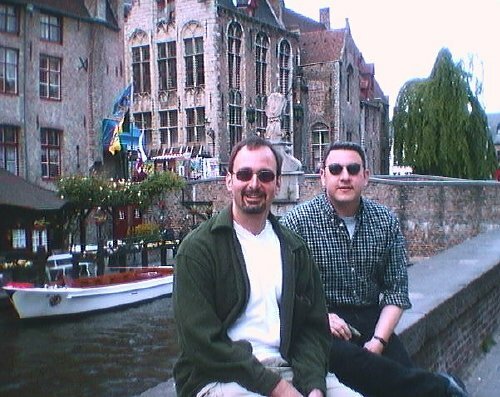 Here are Steve and Rory on the bank of one of the many canals of Bruges. In the background is one of the launches for the canal tour that we later took advantage of...in our own private boat. It was almost like a log-ride. Relatively inexpensive and a good way to take in part of the city. The adventure was not without its share of "confused" moments. 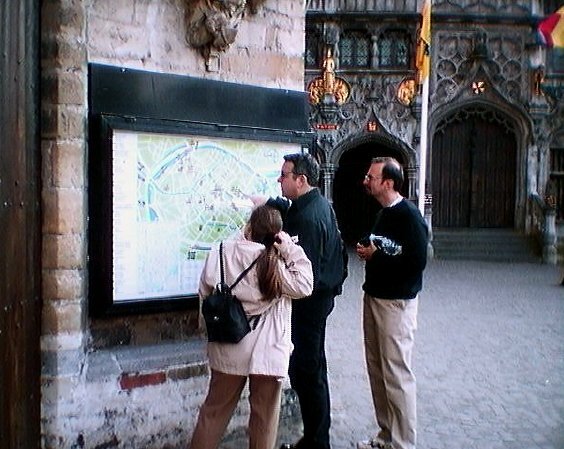 Bruges is not the most clearly laid-out of cities, so the occasional map consulatation was essential. 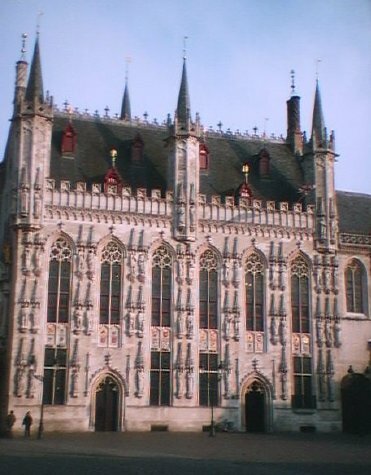 The stadhuis (?) of Bruges on the Burg...not the Basilica of the Holy Blood, although it is just off to the right as you are looking at this building. 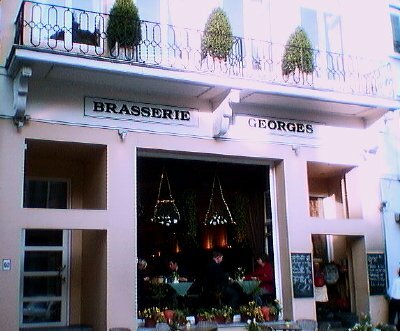 Once again, George has managed to open up another Belgian bistro without letting anyone know. Return to the JOURNAL page. Return to the BRUSSELS & FLANDERS page. This page was created by David M. Rojas and last updated on Sunday June 13, 1999.